Hope everyone had a great holiday season, and is looking forward to a grand year of hand tool woodworking! I am through the marathon that is my family’s Christmas and Birthday (3) bonanza, and putting my mind towards some woodworking again. While I was at the Hand Plane Essentials class in Port Townsend we worked in some local Alder wood supplied for the class by the instructors. We were each given a rough sawn plank to work to a finished board through a series of planing techniques. We then took our plank home proudly to show our spouses what we had spent all that money on. 🙂 I also grabbed a couple scraps for testing on carving since it felt like it might be a decent carving wood. My plank will be come the sides of a toolbox tote I am building, but I did spend a little holiday time testing out the carving tools on the Alder. You need sharp tools (duh). It chips out fairly easily. I discovered pretty quickly that my larger V tool was a little dull. You can see how it crushed the wood fibers, rather than cutting. I pulled out my quite sharp smaller V tool for a similar test and it cut nicely and cleanly. I then did a little gouge work (lower edge) and some low relief work with punched background like I am hoping to do on my toolbox. 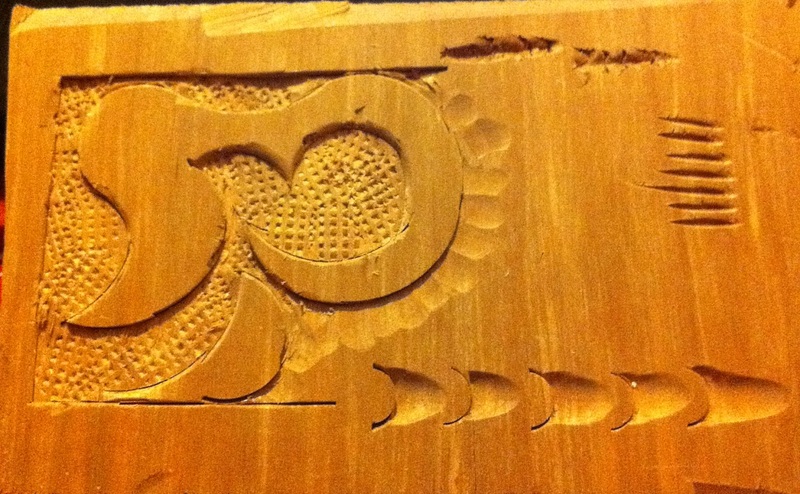 I think the test results were encouraging enough to proceed with the carving, although I’m a little nervous about the V tool work. I’m considering a layout that is heavy on the low relief method, and keeping it simple. We’ll see. Right now I have the sides smoothed, rabbeted on the bottom edge, and sized perfectly. I have a scrap of hardware store 1/2″ thick Oak that will work as the bottom, and I’m probably going to use some Oak for the ends. For the handle I’m thinking of using a little bit of Walnut. Most everything will be carved just so I can get more practice in a variety of woods, and to decorate my toolbox marking it uniquely as mine. More to come including some thoughts on how to sharpen a V tool. A fellow carver told me that you need to carve alder wet. After it dries it cracks, but goes right back to its uncracked self with time. Is this the case or is he “puling my twigs?” I am planning on carving some old men faces on some branches that are all over our woods due to winter snow. Any information you can tell me I would appreciate. 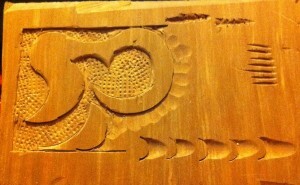 No sure about carving in the round, but I have no issues so far with Alder flat. This is air dried Alder, not Kiln dried if that makes a difference, but I’ve seen nary a crack in my work after a few years.